The tl;dr version of the pricing change is the following: no more single theme licenses, no more packages of licenses (for up to 5 sites or unlimited). Instead, a single subscription membership with access to all our themes paid monthly or yearly. For details, read the announcement on the PT blog. Why we’ve done this and how it affected our customers base? The customer-facing reasons why making the change has been well covered in the announcement. So I’ll deep dive the business-facing reasons and consequences. On July 12, we offered a single package called ProteusClub with two payment periods: $19.95 per month or $99.95 per year. My prediction was the following: people will subscribe to a monthly plan, start using the theme and once they see that’s what they need, switch over to yearly billing which is more affordable on the long run. I made this prediction because that’s how I usually buy SaaS as well. Paying monthly for a month or two is a great way to test something out before committing for a longer period. 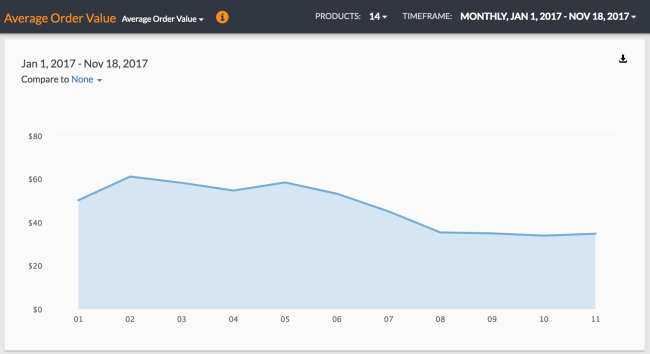 Following the described pattern, the customer pays us $19.95 + $99.95 = $119.90 in the first month already. That’s twice the amount of the single time license we’ve offered previously, 21% more than previously offered Theme Club (5 actives sites), and whopping 285% more than we get from a sale on the marketplace. Along with the access to theme updates and support, we’ve added another benefit for the members: all newly future themes we create and publish will be added to their account as soon as they’re released. The third benefit: access to Club Deals, a section within the Dashboard where the members get discounts for related WordPress services/plugins, including a free year of WordPress hosting. The second upside effect of the pricing change was the filtering of the customers this new pricing attracts. Every smart marketer will suggest you find your ideal customer and make the offer tailored to them. That automatically means that you’ll *reject* some customers, but that’s fine. At ProteusThemes, we wanted to focus on the freelancers and agencies that are building WordPress-based websites for local businesses and make at least 1 website per month. Compared to DIY-ers, they need multiple themes for multiple customers and they can setup websites more efficiently if they know the way the theme is put together and that the support is timely, helpful, and resourceful. For these people, the new pricing is great compared to always go through the same process of finding the random theme on marketplaces or individual theme shops. Let’s see some numbers. That’s why you’re here, correct? I supposed to share these numbers within 2 months in the Year in Review report, but I guess I’ll have to do a little exception there. 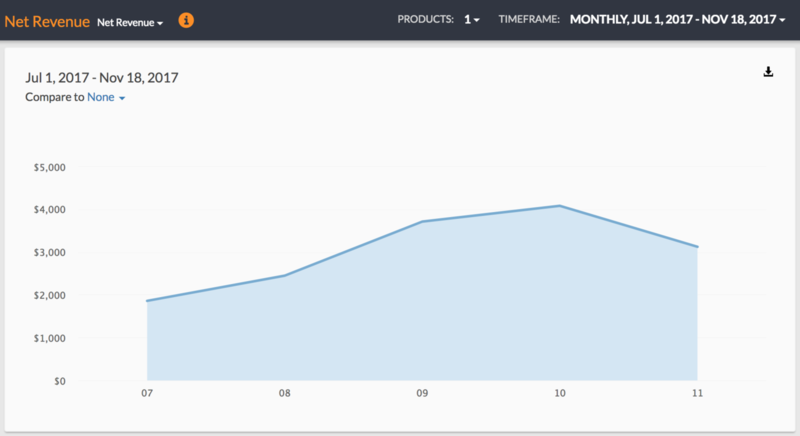 We can see that at the beginning of the year the revenue was increasing then it plateaued at around $3k/mo. We’ve also sold the majority of the single licenses for $59 and very few Theme Clubs for $99 and Elite Clubs for $199. The two memberships represented only 23% of the units sold and 35% of the revenue. Growing number of subscriptions. After 4 months we’re already over 200. We’ve been using the ProteusPay (EDD + FastSpring) for handling all the payments and licenses this year (after very messy first 2 months when we’ve used EDD with PayPal). The FastSpring’s amazing service and support has never let us down and the subscription management is hands-down the best I could find. That’s why we’ve recently offered ProteusPay as a standalone WordPress plugin which is an integration between EDD and FastSpring, without any coding required. 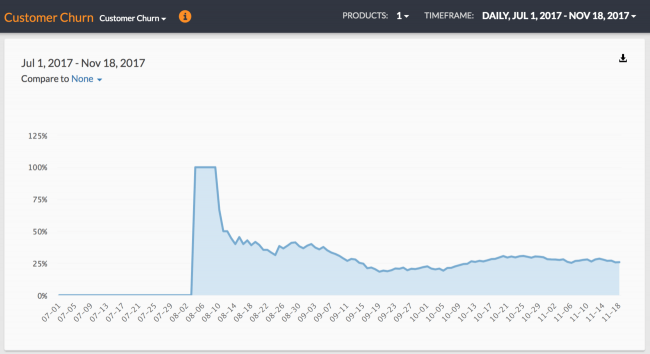 As you can see, the churn has (for now) settled down between 25-30% which is very high for any SaaS. 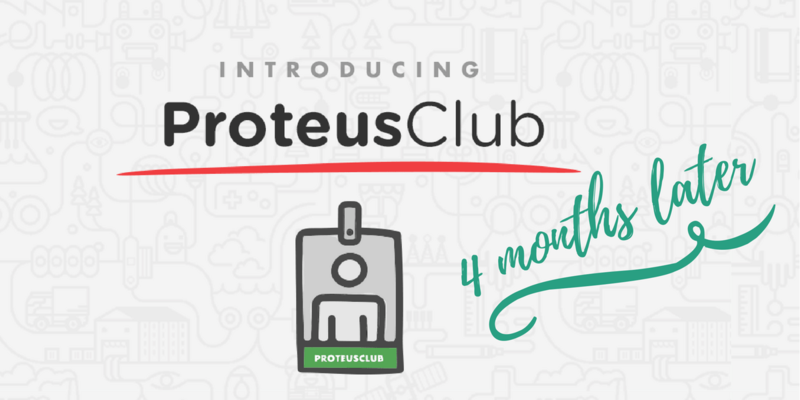 But ProteusClub is not SaaS, it’s basically a subscription based membership. 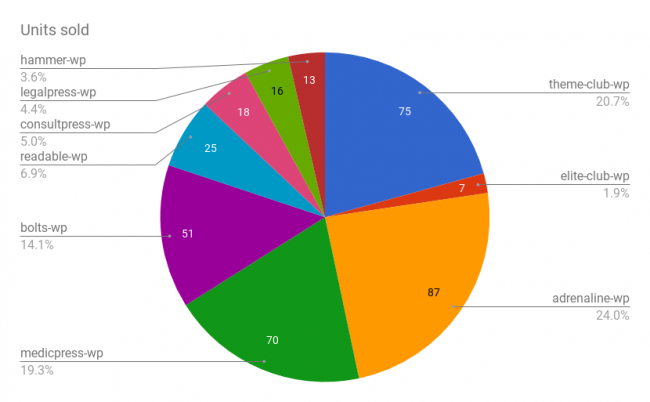 I anticipated the churn rate to be very high, between 30-50%, so this is no surprise. What we have to work on more, is that we should actively remind people to upgrade to a yearly plan after they’ve chosen monthly. One would assume that the change has negatively impacted the average order value because it has dropped from around $55 to about $35. However, the average order value is a very bad metric when comparing single time purchases with the subscriptions. Much better it’s to compare the Life Time Value (LTV). Taking the 25% churn in the account, we can calculate the average LTV of the monthly subscribers to be $79.8. Comparing to the previous $55, that’s 45% increase! The numbers after the first 4 months of ProteusClub look very positive, but we know there’s still quite some room for improvements. We have to encourage people to start using the themes as soon as possible. This will hopefully reduce the churn rate. We’ve seen the more themes the people start using, the lower their churn rate and more likely to upgrade to a yearly plan. We’ll remind monthly subscribers to upgrade to a yearly plan. People subscribe for monethly billing and forget that this is an option. Because it will be probably very hard to get the churn below 20%, it’s better we encourage people upgrading to yearly billing. We might test out introducing the third, lifetime plan. Some people simply don’t like ideas of subscriptions and they would be willing to pay much higher single time fee to get a lifetime access. The pricing of that one would for sure be north of $200, most probably in the $300-400 range. We’ll manually get in touch with all the previous buyers and upgrade them to the ProteusClub. 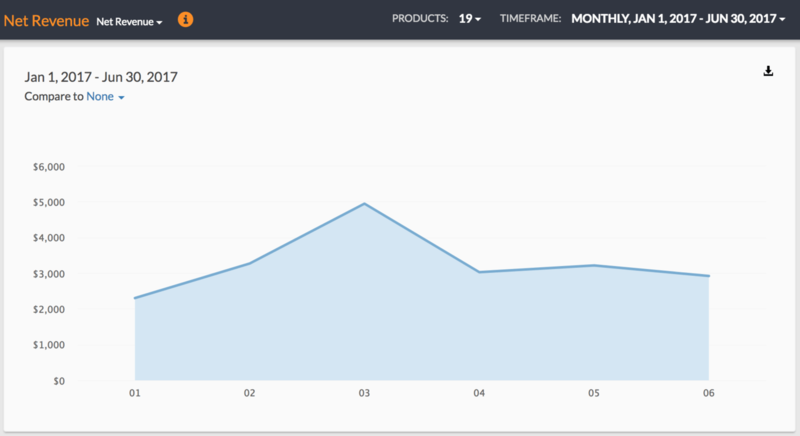 On Nov 25, it will be 1 year since we’ve sold the first license on ProteusThemes shop. We’ve advertised back then 50% discount on all license extension so we’ll stick to the promise and provide these people ProteusClub lifetime discount for 50% off the regular price if they onboard to ProteusClub before their existing license expires. By switching to a simpler and auto-renewing pricing model, we’ve noticed quite some positive side-effects we didn’t see coming. The first one is that we can now offer high discounts without losing much money down the road. How we do it is that we only discount the monthly plan and only the initial payment. This way, we can easily offer let’s say 50% discount because even though that the percentage seems high, we’re only giving away $10 discount. The renewals will be happening at the normal $19.95 rate and hopefully the user will switch over to yearly billing. The second positive thing is that we’ve hard-restricted access to support and updates if you don’t have an active subscription. The theme keeps working for you, but unless the customer is on the subscription, they will not get updates and they cannot get support from us (because we’ve restricted it in the dashboard). This way, even if someone pays only for a single month, cancels the subscriptions it’s true that he gains access to all themes, but we also only have to provide support for a single month to him. After the period is over, we don’t have any more costs down the road. The third positive side-effect is that the new pricing is so much simpler and as such people understand it more easily. Therefore, there are far fewer questions on the live chat support regarding the pricing and the packaging. 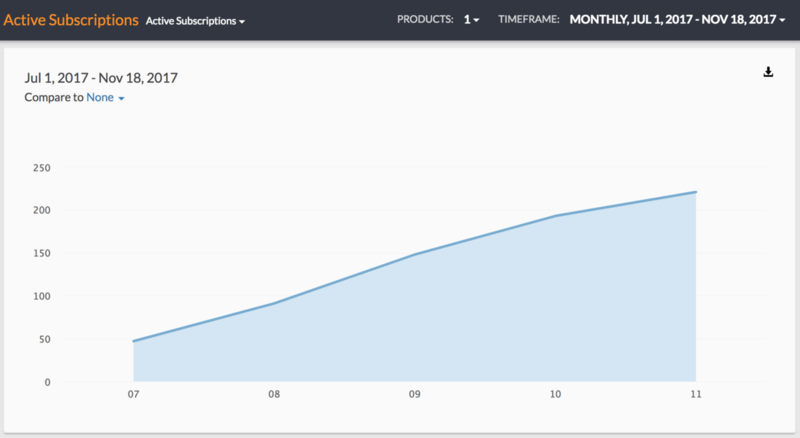 Switching everything to subscriptions has worked great for us and it might work great for you too. My suggestion is that you plan it in advance because at the start the revenue will drop for a couple of months, but you gain on the long run. 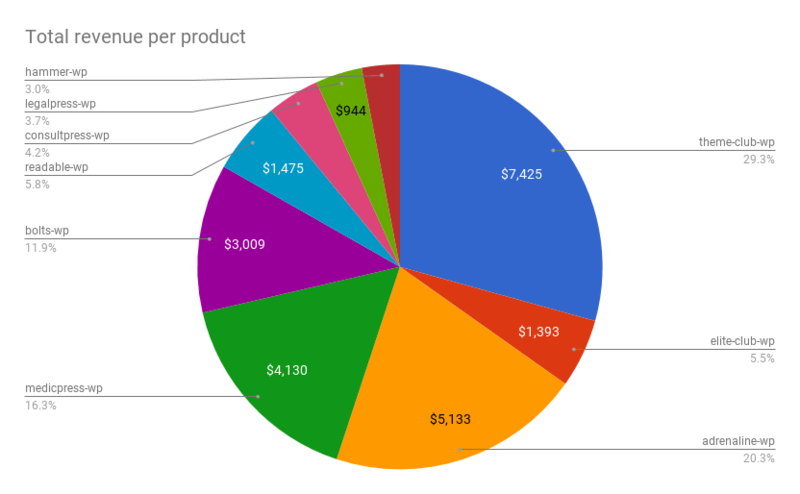 We now have much more sustainable revenue and even though we’re still leaking on a few places (like pushing more for a yearly plans after customer signs up for monthly) we’re already doing better revenue-wise than we’ve been doing before switching over. It looks like in November we’ll be hitting over the $5k/mo milestone. 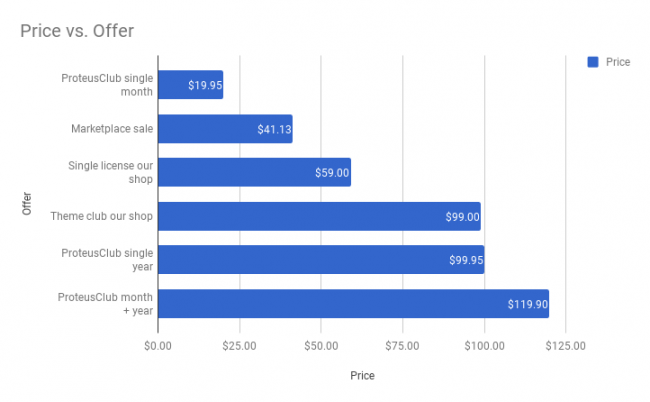 If you’re thinking about opening your own WP shop or you’re just before opening a new one, re-think about offering subscriptions-only. With FastSpring and ProteusPay, it will take you only a few hours to configure it and start selling. The end of the year is approaching fast so I’ll have to revisit my goals for the 2017 and see how I’ve accomplished them. The biggest goal was to make ProteusThemes more stable business and less dependent on a single source of revenue. I believe that subscription membership offer played an important role here.